How to claim ITC under imports? In GST regime, input tax credit of the integrated tax (IGST) and GST Compensation Cess shall be available to the importer and later to the recipients in the supply chain, however the credit of basic customs duty (BCD) would not be available. In order to avail ITC of IGST and GST Compensation Cess, an importer has to mandatorily declare GST Registration number (GSTIN) in the Bill of Entry. Provisional IDs issued by GSTN can be declared during the transition period. However, importers are advised to complete their registration process for GSTIN as ITC of IGST would be available based on GSTIN declared in the Bill of Entry. Input tax credit shall be availed by a registered person only if all the applicable particulars as prescribed in the Invoice Rules are contained in the said document, and the relevant information, as contained in the said document, is furnished in FORM GSTR-2 by such person. Customs EDI system would be interconnected with GSTN for validation of ITC. Further, Bill of Entry data in non-EDI locations would be digitized and used for validation of input tax credit provided by GSTN. 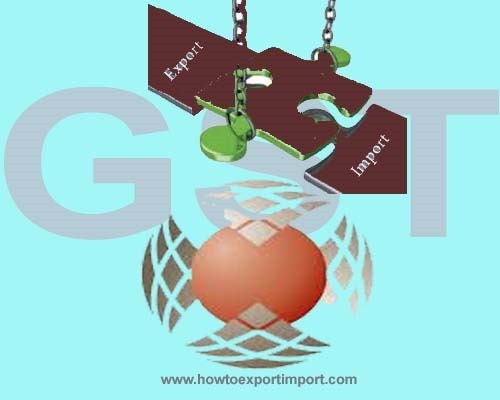 How to calculate IGST under imports? Does CVD exists under project imports? How to claim IGST refund on exports? Any GST exemption on Live Aquatic invertebrates? Any GST attraction on sale of Live Mammals? Should I need to pay GST on live Mules? Is GST payable on sale of Live Poultry Turkeys? 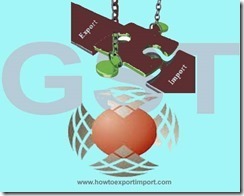 How to export your goods? Vikram Singh: On 17 October 2017 Can we takes GST input on import items which was purchase free of cost..
Srinivas: On 16 November 2017 we have imported the goods by DHl they gave bill of entry its include IGST, Customs duty and other cess as mentioned reimbursement of cost. so how to claim customs duty in GST. Stuti Mathur: On 31 January 2018 Dear Sir, We have to avail Input tax credit against the IGST paid on import of goods (goods imported in August). We have received the Bill of Entry in September. So the due date of filling GST-3B of August, 2017 has been passed and we all know GSTR-2 has been abolished. Now we are not able to avail the ITC of the IGST paid on the import of goods. Kindly advice how we can avail the same. Dipen Thakkar : On 14 March 2018 I am Importer & have one query,,18% IGST calculated in BOE.,,how to get set off of that amount. I am very confusing regarding this. SANGEETA: On 24 July 2018 I am Importer & have one query,,18% IGST calculated in BOE.,,how to get set off of that amount. I am very confusing regarding this. Ranjit Das: On 27 September 2018 My company imported spares for installation of a machine free of cost. Can we take credit of IGSTagaint the free supply. Anand Gupta: On 22 October 2018 am Importer & have one query,,18% IGST calculated in BOE.,,how to get set off of that amount. I am very confusing regarding this. bablesh kumar: On 30 October 2018 Can we takes GST input on import items which was purchase free of cost..
sukriti: On 02 November 2018 we have imported the goods by UPS.They gave bill of entry which include IGST, Customs duty and other cess as mentioned . so how to claim customs duty in GST and from where can we check it. AS purchase can be check in GST 2A.So, from where can we check input on Import. RADHA: On 26 March 2019 how to claim input gst credit on import , let us know the procedure & which website we can login to get input of igst. Rajesh: On 06 April 2019 Boe date is March and duty paid in April. When to claim gst input. And purchase date is March or April? Can MEIS scrips be used to pay customs duty against import of GST items? How to export from India to Sudan?